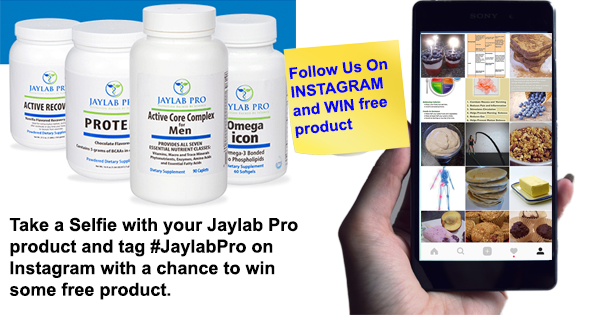 Jaylab Pro Was Built Exclusively For Health Professionals! 1. We pay the highest commission rate of any supplement company up to 30%. No other supplement company comes close to matching this. 2. We never market your leads or customers to 3rd party offers. We were the original company to offer this and secure your leads so that you continue to build this profit center within your business. 3. Once your leads become customers they are always your customers. This isn't a one time commission type program. You continue to earn commissions every time that customer purchases any Jaylab Pro product. Whether it is 30 days from now or 5 years from now that customer remains attached to you so that you always receive the future commissions. 4. We offer a A+ subscription program where your customers can receive monthly shipments and of course they can cancel or push back their orders at any time through a variety of ways. The simplest being they have full access to their customer account and can login and edit their subscriptions whenever they would like. We have made it super simple and put full control in the hands of the customer. 5. You as an affiliate are supported 100% with a multitude of marketing materials and resources. These are just a few of the reports you have at your fingertips. We also have email swipes at your disposal along with high converting sales pages, offers and so much more in marketing materials. 6. Our LTV of a customer is 2.7 years. We have some customers that have been with us for 10 years now and still going. We take good care of our customers and deliver value and trust which is why they hang around as long as they do. 7. Our products are natural and contain only research backed ingredients so you can rest assured that your clients are getting the best there is on the market. 8. Every raw material ingredient goes through a series of quality control tests before it is even accepted into inventory Those same raw materials are held in temperature- and climate-controlled warehouses to ensure maximum potency. 10. For powder blending, only V-blender and Ribbon blender systems are used for thorough mixing and nitrogen flushing, assuring consistency and product integrity. Here Are Just A Few Of Our Affiliates And What They Have Had To Say About Us. Jaylab Pro is a good backend revenue for me. 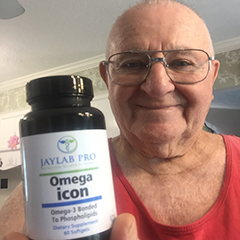 The biggest thing I like about it is not only is it one of the highest payouts in the supplement industry but I believe in what Jaylab Pro has. The recurring revenue is the most important thing for me. You are going to get a certain amount of customers that are going to take that month after month or possibly years. It is pure passive income that can come in for years. You can literally make thousands of dollars per month just on auto pilot. It is highly worth it and I highly recommend joining Jaylab Pro. 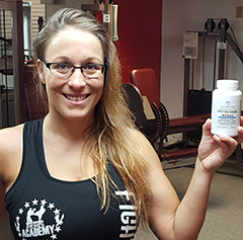 “JayLabPro has taken the pain out of recommending supplements to my clients. 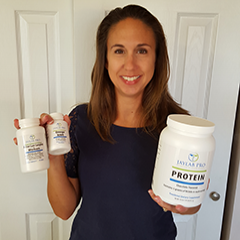 Our clients understand the importance of mastering the nutritional basics. 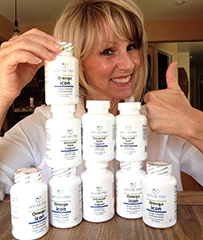 One of the biggest barriers our clients face is having the right nutrients at the right time. JayLabPro has helped us increase our clients’ performance and has also taken the stress out of nutrient timing. "I've been using JayLabPro about a month. I train hard five days a week and recovery time is really important. 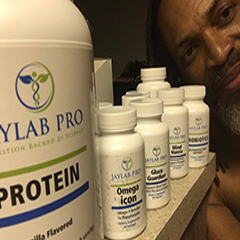 My recovery has been improving thanks to your products, especially JayLabPro Workout. My overall performance is improving, but I notice it most in my heavier lifts. I got my first barbell shoulder press with 170 lb yesterday, plus my first unilateral dumbbell high pulls with 100 lb (each arm). Though I know many people will get heavier lifts than mine, I am thrilled! I have a goal of being able to do a 100 lb dumbbell clean & press with one arm by my 58th birthday, which is in August, and I believe I will make it. 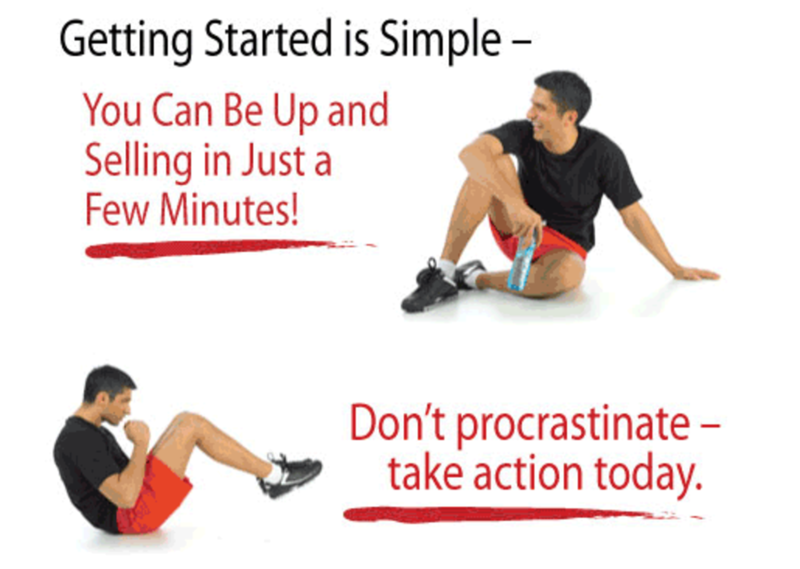 Your excellent products definitely are helping move ahead faster. " Lastly, my clients are very impressed with the quality of the products also!" 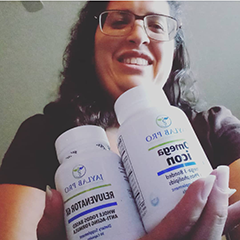 My wife and I love how good we feel when we take JayLabPro’s products and wanted to thank you for putting out a quality product I can be proud to sell to clients. AND the great thing is: my clients spontaneously tell me how pleased they are too! My family and I thank you and your team. 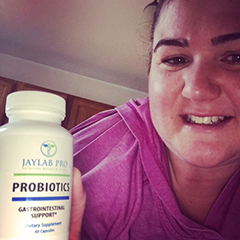 My clients who bought and use JayLabPro love it. And I feel they are each getting more than their money’s worth for the products. I continue to emphasize their worth and benefit in each of my newsletters and blog posts. It's good stuff. 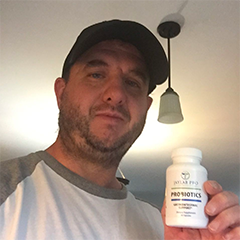 I have used the recovery drink recently in a 12 week transformation program along with their krill oil and got great results with them. 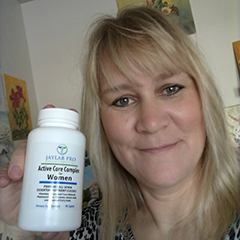 That gave me confidence to recommend the supplements to my clients and bootcamp members. It is a great back-end product that I can confidently recommend to my clients. 30% commission is the highest I know of in the industry. I highly recommend Jaylab Pro for trainers to recommend to their clients. 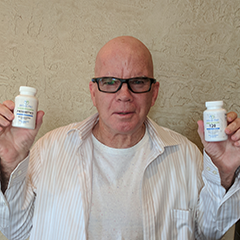 Now your results may vary, but if you take advantage of the numerous resources we provide to you on educating your clients on proper supplementation and nutrition then you can't go wrong.